Belmont Hills is a planned community near Fayetteville NC. 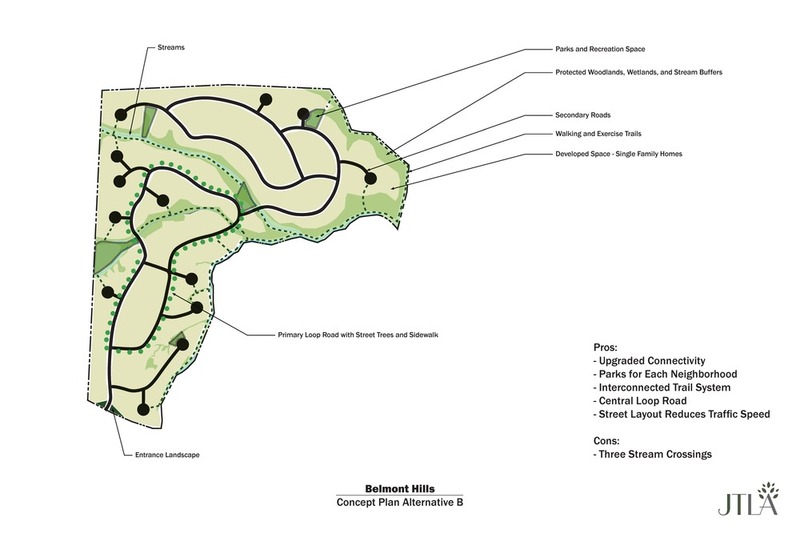 The masterplan creates 186 residential lots, 2.65 miles of streets, and 3 acres of parks, all connected through a system of sidewalks and nature trails. We prepared conceptual diagrams to assist in selecting a preferred alternative, then finalized the selected layout as a final masterplan drawing.